Schloesser v. Berryhill, a case from the U.S. Court of Appeals for the Seventh Circuit, involves claimant who worked as a dry curer in a meat processing plant for more than two decades. His job required claimant to lift more than 70 pounds on a frequent basis. Claimant continued to work at this particular factory until he injured his shoulder and back from the years of heavy lifting. In 2001, he had his left rotator cuff surgically repaired, and the following year, he had a disc removed from this lower back. This procedure is known as a lactimectomy.Following back surgery, claimant was no longer able to work and left the factory job in 2003. From the time he left his meat processing job until 2009, he worked for himself doing construction jobs. His new occupation required him to frequently lift more than 50 pounds. He could no longer work in this capacity and filed for Social Security Disability Insurance (SSDI) benefits. As our Boston disability benefits lawyers can explain, Social Security Disability Insurance benefits are governed by the United States Code, specifically 42 U.S.C. 416(i). The benefits program is administered by U.S. Social Security Administration (SSA), along with the Supplemental Security Income (SSI) benefits program, and the Old Age and Retirement benefits system, which is the program most people think of when they are thinking of Social Security benefits. In this case, claimant’s initial application was denied and so was his written request for reconsideration. The vast majority of all claims are denied upon filing as this is the way the Social Security Administration limits the amount of benefits it pays out at any given time. There is never enough money in the budget, primarily due to political reasons, so the agency stretches the budget by denying claimants that are actually disabled and otherwise qualified, and then when they do award benefits, the agency takes as long as possible. The average wait to get Social Security Disability Insurance benefits is over year. The best thing a claimant can do is to speak with an experienced disability benefits attorney as early in the process as possible to increase the chances of obtaining a full and appropriate benefits award including back pay for retroactive benefits. 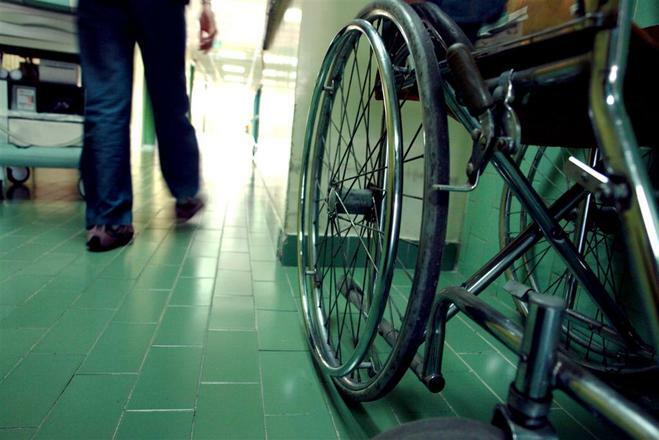 Benefits can be paid retroactively back to the date of the onset of disability in some cases. Once claimant was denied by SSA, in his initial disability benefits claim and then his request for reconsideration, he was eventually given a hearing before an administrative law judge (ALJ). An ALJ is a judge who works for SSA. An ALJ is supposed to be a neutral fact finder, but in reality, they work for SSA and tend to find in SSA’s favor and deny benefits more often than not. Again, the best thing a claimant can do is to make sure they have an experienced attorney to represent claimant’s best interests during the entire process. This is essential because the system is set up in such a way that the unrepresented claimant in very much at a disadvantage. Claimant’s should not have to worry about being able to afford an experienced attorney because the system does not require claimant’s to pay any legal fees unless they are successful in obtaining benefits. In this case, however, claimant was awarded benefits by ALJ. This would normally be the end of the matter, but SSA’s Appeals Council decided to review ALJ’s order Sua Sponte. Sua Sponte is a Latin legal term that means of the court’s own initiative. Normally a claimant may denied benefits at an ALJ hearing and then claimant can appeal the council. This is a discretionary review and the council has choice of whether to hear the case or simply pass. If the appeals council declines a review, this does not mean that claimant is out of options. At this point, claimant can sue the commissioner of SSA (Nancy A. Berryhill is currnetlty the Acting Commissioner of Social Security) in the U.S. District Court in which proper jurisdiction lies. In a Boston SSDI case, the U.S. District Court for the District of Massachusetts located on Boston harbor would be the proper court. If this case did not result in claimant being awarded benefits, claimant could appeal to the U.S. Court of Appeals where jurisdiction is proper. In Schloesser, claimant was granted benefits by ALJ, and as mentioned above, SSA appeals council decided to review the ALJ decision on their own accord. 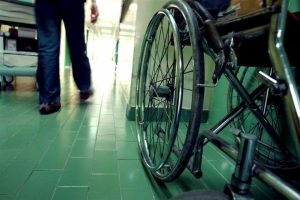 While this is not normal, it is allowed under the rules, and the council determined there was not sufficient evidence to sustain a claim for benefits and overruled ALJ’s decision. Claimant then filed a case in the U.S. District Court, and that court affirmed the denial of awarded benefits on grounds that there was sufficient evidence to deny benefits. Next, claimant appealed to the U.S. Court of Appeals for the Seventh Circuit, and while this court of known for being somewhat more favorable to disabled claimants than other courts, the court affirmed the lower court’s denial of benefits. The court found that claimant had a residual functional capacity (RFC) that allowed him to do work and was therefore not disabled. A RFC is typically set with the help of a so-called vocational expert (VE) through the use of hypothetical examples posed by administrative law judge (ALJ).